Part of the 8600 managed edge system is the new Tellabs 8607 Access Switch perfect for compact cell sites. The unit features a 1RU compact size and was designed specifically for IP/MPLS configurations. The switch will allow you to interface and run multiple transport options from E1/T1 to DSL plus Ethernet interfaces. With the Tellabs 8607 AS, you’re getting a pluggable interface with a variety of modules and power supply options that can be customized to fit your network, needs and cell site. We’ve seen it put into the field as a small hub site, base station site and as a core part of an on-premise network for customers. Plus, you get the added talking point of the environmentally hardened DC power option that is secure and protected against even rough deployments. 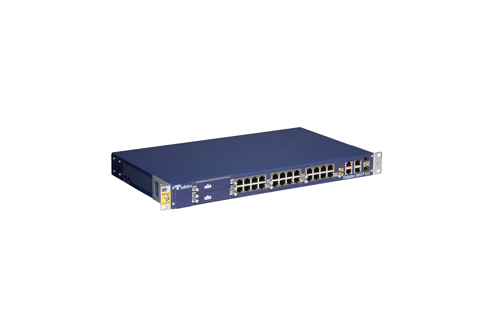 A used Tellabs 8607 means you don’t have to break the bank for the latest in access switch support. When you choose refurbished options from Worldwide Supply, you can be sure you’re getting a high-quality product that’s been thoroughly tested by engineers and certified technicians. We don’t skimp on any testing or review, so our customers have come to rely on us for their refurbished goods as well as their long-term network maintenance. Plus, as they grow, they can turn to us to sell used Tellabs 8607s and other networking gear for a sound price or a great initial investment in the equipment they need to further grow and scale.